Sitting along the banks of the River Itchen in southern England, the city of Winchester is the county town of Hampshire. With a population of around 45,000, there’s a thriving property market in the area and some lovely houses for you to choose from. At My Home Move Conveyancing we’ve been developing our knowledge of markets like the one in Winchester since 2001, allowing us to bring a market-leading conveyancing service to our clients in the city. If you want to buy or sell property in Winchester, you need to instruct property lawyers to complete the legal work for you. 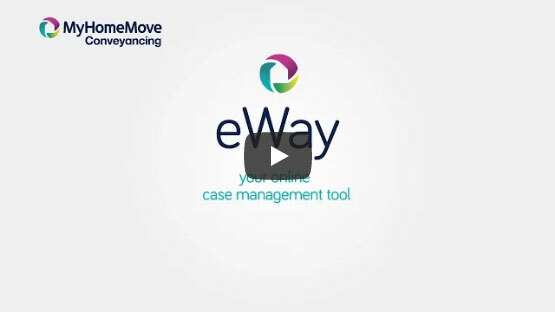 Choose My Home Move Conveyancing for our award winning customer service, intimate knowledge of the local market and a forward-thinking use of technology. Our professional conveyancing service comes for a fixed fee, so you know how much you’re going to pay right from the outset. There are no nasty surprises to worry about when you choose us to be your Winchester conveyancers. And thanks to our ‘no completion – no fee’ policy, you won’t have to pay us a thing if you don’t end up moving for some reason. You’ll be assigned a dedicated conveyancer who’ll oversee everything for you, looking after all aspects of your case from start to finish and regularly providing updates on your progress. You’ll also have online access to your account, so you can check up on things at a time that’s convenient for you. At My Home Move Conveyancing we focus on getting things right first time round, and we’re proud to provide our conveyancing services in Winchester to homebuyers across the area, including in the city centre near the cathedral, close to the train station in the north of town, and in neighbourhoods like Fulflood, Stanmore and St Cross. The average house price in the Winchester district is £397,649, while in the city itself the overall average sale price during the last 12 months was significantly higher than this at £510,596. Most sales in this period involved terraced properties, going for an average of £495,790. Detached houses fetched £712,479 and semis sold for £482,268. Winchester’s local area has long been settled by humans, with its history stretching back to three Iron Age hill forts. The settlement became a hugely important town in Roman Britain under the name Venta Belgarum, and was reinforced with stone walls around its perimeter at the start of the third century. As well as plenty of modern amenities, Winchester still offers plenty of historical landmarks to visit, including the 15th century City Cross and Winchester Cathedral, which is one of the largest in Europe. The city has a great location within southern England, which is one of the things that makes it so popular to live in. There are trains which take less than an hour to get to London Waterloo station, making Winchester an option for commuters to the capital. Rail services to Southampton meanwhile take just 20 minutes. The M3 motorway passes by the east of Winchester, connecting the city to Basingstoke, Farnborough and London to the northeast, and Southampton and its airport in the south. There’s a great range of highly rated schools in the area to take into account if you have children, with primary options including St Faith’s CofE, St Peter’s Catholic Primary and Weeke Primary. The Westgate School, Kings’ School and Henry Beaufort School are all state comprehensive secondary schools, while Winchester College and St Swithun’s are independent senior schools. For higher education, the city offers the University of Winchester. Many areas within Winchester collected parish precepts. Figures exclude these.